The Fitzwilliam Virginal Book, an early 17th-century English manuscript for keyboard music, is yet another compendium of musical pieces that combine the pieces of several composers. As I have mentioned in others blogs, a compendium is a monument to a period of music. The Fiztwilliam is named after library antiquarian Viscount FitzWilliam who bequeathed the manuscript collection to Cambridge University, in 1816. It is now preserved in the Fitzwilliam Museum, at Cambridge. However, we tend to associate the Fiztwilliam with Elizabeth I (7 September 1533 – 24 March 1603, Queen regnant of England and Ireland from 17 November 1558 until her death. Elizabeth I did not marry. In fact, the FitzWilliam was first entitled Queen Elizabeth’s Virginal Book. But Elizabeth, who died in 1603, never owned a copy of the book. Elizabeth I was the daughter of Henry VIII and Anne Boleyn, a music lover, as was her father, and a learned woman. 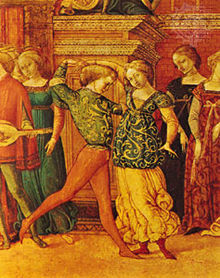 She was fond of dancing: the galliard, in particular. The Fiztwilliam Virginal Manuscript contains an impressive 297 pieces and one blank page numbered 298. It was probably compiled by Francis Tregian the Younger, a recusant and amateur musician. Recusants were persons who refused to attend Anglican services. Tregian may indeed have copied the pieces, but if he did, he stopped in 1618, the year of his death. The Fitzwilliam contains pieces composed between 1562 and 1612. The manuscript is also attributed to William Byrd. So its origin is disputed. I should indicate that the word “virginal” is often used to designate the clavichord, the harpsichord, and other plucked instruments. Among these “virginals,” the quietest is the clavichord. The virginal and the clavichord are rectangular instruments, but the harpsichord resembles grand pianos. However some are upright instruments higher than the highest upright pianos. Pianists do play Couperin, Scarlatti, Handel, Bach and other composers who were active before the piano was developed. For instance, J. S. Bach’s keyboard music was composed for the harpsichord or the organ. The famed Goldberg Variations were written for a two-keyboard harpsichord. Although he composed for the piano, some of Mozart’s compositions can be played on the harpsichord. The FitzWilliam (now called Fitzwilliam) contains pieces by composers who are relatively unknown to pianists: Doctor John Bull, Ferdinando Richardson, Giles Farnaby, John Munday, Peter Philips, Thomas Morley, William Byrd and a few anonymous composers. Specifically, pieces and composers featured in the Fitzwilliam are the Galiarda, the Galliardo, the Pavana, the Fantasia, the Maske, the Corranto, the Gigge, Variations, Preludes, a few liturgical pieces with a title such as “Barafostus’ Dreame,” ” Pakington’s Pownde,” “Ladye Riche,” “Put Up Thy Dagger Jemy,” the “New Sa-Hoo,” “Quadlings Delight,” “The Ghost,” “The Earle of Oxford’s Marche,” by William Byrd, “Lachrymae Pavan,” by John Dowland (arranged by Giles Farnaby) and others. So the “virginals” required their own composers, but it could also be said that they required and still require their own performers. 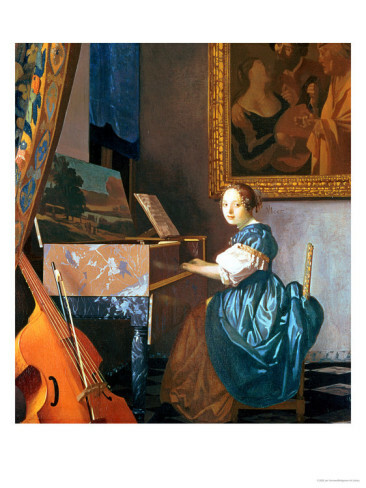 When pianists try to play a “virginal,” usually the harpsichord,they can no longer bite into the keys and have to execute the ornaments in a different manner than on the piano. The two instruments are keyboard instruments, but one “touches” the virginal and related instruments and “plays” the piano. 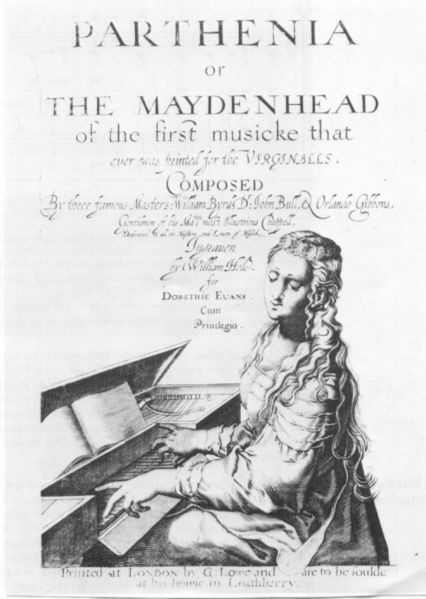 There are other collections of music for the virginal, such as collections compiled by composers: Will Forster’s Virginal Book, Clement Matchett’s Virginal Book, Anne Cromwell’s Virginal Book, and the famous Parthenia or the Maydenhead of the first musicke that ever was printed for the Virginalls, printed in 1612. Do you have a spam issue on this site; I also am a blogger, and I was wanting to know your situation; many of us have developed some nice procedures and we are looking to swap strategies with other folks, be sure to shoot me an e-mail if interested. Yes, I do. How awful! It’s a pity you don’t have a donate button! I’d certainly donate to this outstanding blog! I guess for now i’ll settle for bookmarking and adding your RSS feed to my Google account. I look forward to fresh updates and will share this website with my Facebook group. Talk soon! My spouse and i felt quite joyful when Ervin could conclude his inquiry from your precious recommendations he had out of the web pages. It is now and again perplexing to just continually be freely giving tips a number of people have been making money from. And we also take into account we have the blog owner to give thanks to for this. The type of explanations you have made, the straightforward site navigation, the friendships you will help promote – it’s got mostly incredible, and it is letting our son and the family reason why the topic is awesome, which is quite mandatory. Many thanks for the whole lot! Hey there! I’m at work browsing your blog from my new iphone! Just wanted to say I love reading through your blog and look forward to all your posts! Keep up the excellent work! Please let me know if you’re looking for a writer for your weblog. You have some really great posts and I feel I would be a good asset. If you ever want to take some of the load off, I’d love to write some articles for your blog in exchange for a link back to mine. Please shoot me an e-mail if interested. Regards! Have you ever thought about creating an e-book or guest authoring on other websites? I have a blog based on the same topics you discuss and would really like to have you share some stories/information. I know my audience would value your work. If you’re even remotely interested, feel free to shoot me an e-mail. Do you mind if I quote a couple of your articles as long as I provide credit and sources back to your weblog? My blog is in the exact same area of interest as yours and my visitors would definitely benefit from some of the information you present here. Please let me know if this ok with you. Cheers! It’s a pity you don’t have a donate button! I’d definitely donate to this outstanding blog! I suppose for now i’ll settle for bookmarking and adding your RSS feed to my Google account. I look forward to brand new updates and will share this site with my Facebook group. Chat soon! great insights you are sharing here. I admire how you are sharing it. Is there any way I could sign up 4 more? Hmm it looks like your website ate my first comment (it was super long) so I guess I’ll just sum it up what I had written and say, I’m thoroughly enjoying your blog. I too am an aspiring blog writer but I’m still new to everything. Do you have any recommendations for inexperienced blog writers? I’d really appreciate it. Howdy! I could have sworn I’ve been to this blog before but after checking through some of the post I realized it’s new to me. Anyways, I’m definitely glad I found it and I’ll be book-marking and checking back often! My spouse and i ended up being joyous when Albert managed to conclude his investigations from the ideas he was given while using the web pages. It’s not at all simplistic to simply possibly be offering ideas which usually some others might have been trying to sell. We really understand we now have you to give thanks to for this. These explanations you have made, the easy web site navigation, the relationships you make it easier to engender – it’s got all impressive, and it is facilitating our son and the family reason why this content is awesome, which is certainly seriously essential. Thank you for all! Hi would you mind sharing which blog platform you’re working with? I’m looking to start my own blog in the near future but I’m having a difficult time choosing between BlogEngine/Wordpress/B2evolution and Drupal. The reason I ask is because your design seems different then most blogs and I’m looking for something unique. P.S Apologies for being off-topic but I had to ask! I do accept as true with all the ideas you have introduced for your post. They’re really convincing and will certainly work. Nonetheless, the posts are too brief for beginners. May you please prolong them a little from next time? Thanks for the post. Useful info. Fortunate me I found your website unintentionally, and I’m stunned why this accident didn’t came about earlier! I bookmarked it. Hi there! I’m at work surfing around your blog from my new iphone 3gs! Just wanted to say I love reading your blog and look forward to all your posts! Keep up the great work! I and my buddies were found to be viewing the great secrets on the website and the sudden came up with an awful suspicion I never expressed respect to the web blog owner for those secrets. Those people ended up absolutely happy to read all of them and already have simply been using them. Thanks for simply being indeed considerate as well as for finding varieties of really good subject matter millions of individuals are really desirous to learn about. My very own honest apologies for not saying thanks to earlier. Hello there, just became alert to your blog through Google, and found that it’s really informative. Iâ€™m going to watch out for brussels. Iâ€™ll appreciate if you continue this in future. Many people will be benefited from your writing. Cheers! Thanks for sharing superb informations. Your web site is very cool. I’m impressed by the details that you’ve on this web site. It reveals how nicely you perceive this subject. Bookmarked this website page, will come back for extra articles. You, my friend, ROCK! I found just the information I already searched everywhere and simply couldn’t come across. What a perfect web-site. We wish to thank you just as before for the gorgeous ideas you gave Jesse when preparing a post-graduate research as well as, most importantly, for providing each of the ideas in a blog post. In case we had known of your website a year ago, i’d have been kept from the useless measures we were choosing. Thank you very much. What’s Going down i am new to this, I stumbled upon this I have discovered It absolutely helpful and it has helped me out loads. I’m hoping to give a contribution & assist different users like its helped me. Great job. Great goods from you, man. I have have in mind your stuff previous to and you are simply too great. I really like what you’ve got right here, certainly like what you are saying and the way in which in which you assert it. You’re making it enjoyable and you still take care of to keep it wise. I can not wait to learn far more from you. That is actually a great web site. Right after study several of the blog posts on your internet site now, and I truly like your way of blogging. I bookmarked it to my bookmark website list and will probably be checking back soon. Pls have a look at my website too and let me know what you assume. Hi there, You’ve performed an incredible job. I will certainly digg it and in my view suggest to my friends. I am confident they’ll be benefited from this website. Hi, Neat post. There’s an issue along with your web site in internet explorer, could check thisâ€¦ IE nonetheless is the marketplace chief and a big component of people will pass over your great writing due to this problem. Good post. I learn something a lot more difficult on diverse blogs everyday. It’ll always be stimulating to read content material from other writers and practice somewhat some thing from their store. I’d prefer to make use of some using the content material on my weblog whether or not you don’t thoughts. Natually, I’ll give you a link on your web weblog. Thanks for sharing.